Address Bagh Muzaffar Khan, Mantola, Agra, Uttar Pradesh 282002. Distance From Monument About 2 km from Agra city. Extra Popular Foreign Tourists attraction as well. Facts Dedicated to Lord Shiva, has more than 10 shiva lingas inside the temple. People Love For Place This temple has very religious and the spiritual vibes. Tips Must visit place during festive season. Address Guru Ka Taal, Mathura Road, Agra, Uttar Pradesh 282007. Average Time To Spend 1 hour approx. Extra It was awarded by Chief Minister of Uttar Pradesh for its Cleanliness. 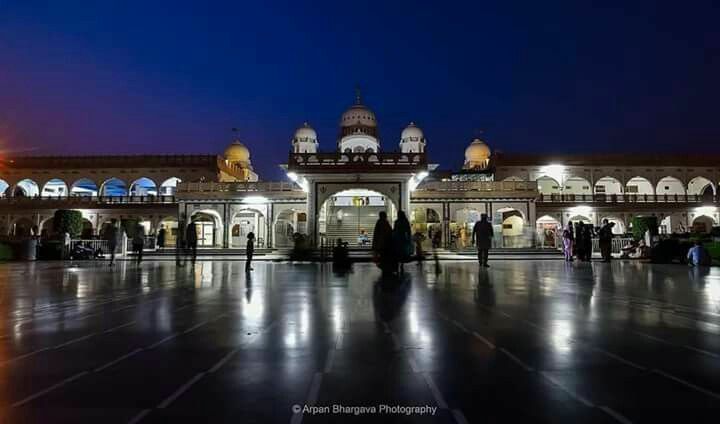 Facts This gurudwara was built at the site where Guru Tegh Bahadur laid down his arms and surrendered to Aurangzeb, the Mughal Emperor. People Love For Place Positive and spiritual vibes, minimum priced rooms and also the food facility. Tips Do not litter in the Gurudwara surroundings. Address Jama Masjid Rd, Lahori Tola, Varanasi, Uttar Pradesh 221001. Distance From Monument North of Dashaswamedh Ghat, near Lalita Ghat. Extra There is a small well in the temple called the Jnana Vapi (the wisdom well). Facts The architecture of the mosque is a fusion of Mughal and Hindu styles as it is built on the ruins of a Hindu temple. Opening Hours From Morning to Evenings. People Love For Place 71 m tall towering minarets above the Ganges . Tips Do no forget to carry your cameras. Extra Visit on weekdays to avoid the crowd. You need to remove your shoes outside the mosque. Address Gokulpura Road, Gokulpur, Agra, Uttar Pradesh, India. Average Time To Spend Below 1 hour. Distance From Monument About 9-10 km from Agra Fort. Extra The temple is lavishly decorated during the festive months. 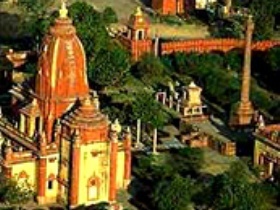 Facts Situated in Gokalpura it is a architectural landmark of the city. Opening Hours Morning 5 am to Evening 9 pm. Tips Best time to visit is during the Festive period. Address State Highway 62, Agra Fort, Rakabganj, Agra, Uttar Pradesh 282003. Extra It earned the name Pear Mosque because it shined like a bright pearl. Facts It was built by Mughal Emperor Shah Jahan in white marble stone. People Love For Place The architecture and craftsmanship is worth noticing. Ticket Price " 20 per person for Indians 750 per person for foreign tourists(including INR 500 for a one-time composite toll levied by Agra Development Authority for Taj Mahal, Agra Fort, Itimadi-ud-daula, Akbar’s Tomb, Sikandara and Fatehpur Sikri)"
Tips Do not forget to carry your cameras and capture this architectural marvel. Address 8, Ajmer Road, Pratap Pura, Agra, Uttar Pradesh 282001. Distance From Monument About 3-4 km from Agra fort. Extra The church was a gift from John family of Agra in memory of Mrs. Mary John. Facts It came into existence in 1923. 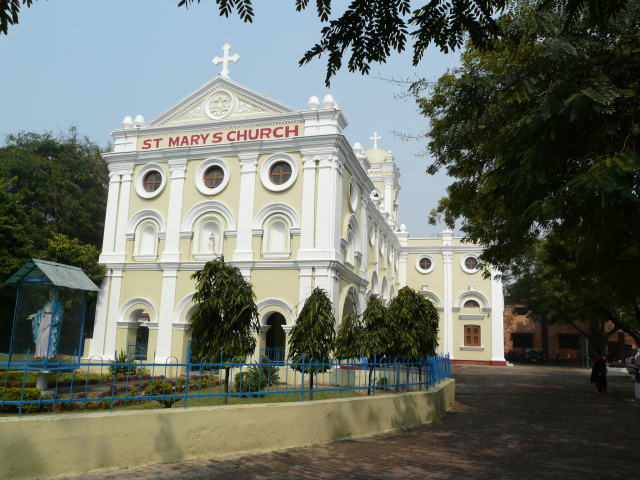 People Love For Place It is a beautiful church in agra with calm and peaceful atmosphere. Tips The Church also has an orphanage where one could donated their old clothes and belongings.